Beside this thought that you want to sell house fast in San Antonio, you may also be thinking to sell it on Maximum profits. But, remember you are not that much experienced in selling. While selling house fast we ignore some important things and make big mistakes. In the race of saving the fees of real estate agents, some sellers try to sell their house by on their own. This strategy is more costly in actual. Seller may don’t know how to maximize profits, how to sell house, what could be the legal liabilities. So selling house alone could end up costing you more instead of hiring an agent. If you decide to hire a real estate agent, you may miss a part that he or she is competent enough or not. If a real estate agent is new in the market, that person may not be able to give you the best suggestion. He may not be able to sell your house fast for maximum profits. For that we are known as a single statement we Cabrera Ventures LLC, buy houses in San Antonio, on cash. While setting up the price of your property you may lose many of the potential buyers just because price quoted is not competitive. Those sellers who want to sell their houses must realize that price is not everything. Sometimes selling your house at the low price actually, is giving you more profits for the long run. So it is again a better idea to consult with the professionals who buy houses in San Antonio. You can also read more about how to maximize your profit. First and the most important thing from the seller side is when they plan to sell house fast in San Antonio, they should prepare their property for sale. If they don’t prepare the property for sale then it can reduce buyer’s interest. It’s best to take a bit of time to get rid of clutter and tidy house. Make your house beautiful and clean. Don’t use only one method. Try to use every method of selling. Use online portals, contact with your family and friends, hire real estate agent or sell directly to the investor like us. 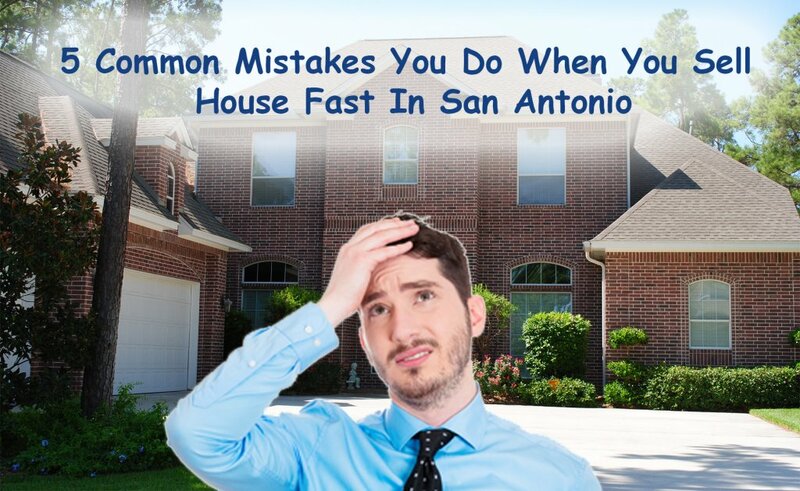 You can sell house fast in San Antonio by contacting us.